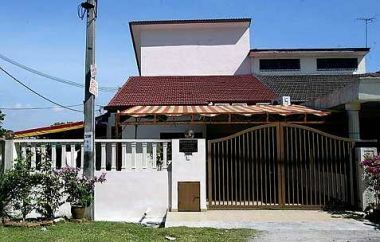 GIVEN the increase in the number of people requiring palliative care, Hospice Klang is urgently in need of bigger premises. Hospice Klang chairman Dr Michael Yoong said the establishment’s present centre was at Taman Sri Andalas, Klang. “This building serves as our clinics, our office and our store for the equipment on loan to patients such as beds, mattresses, wheel-chairs and oxygen machines. “Our needs have outgrown this building. “We need more space for our present needs and definitely much more if we are to improve and expand our services. 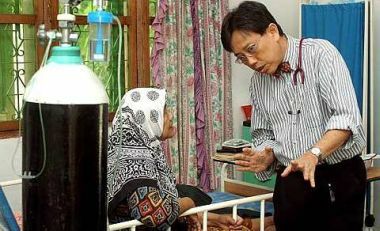 Total care: Dr Yoong speaking to a patient at the centre. “A new properly designed and bigger centre is needed,’’ said Dr Yoong. Apart from these immediate needs, added Dr Yoong, there was also always the continual need for support and funds to finance Hospice Klang services which are provided free. The main purpose of Hospice Klang, established in 1996, is to alleviate mental sufferings associated with advanced cancer by organising patient participation activities. Wanting to help the organisation continue its noble services, a group of artistes have come forward to help Hospice Klang raise funds for its much needed new premises. Pianist Lee Tsze Le, violinist Annabel Yong, soprano Lee Kwai Fong, tenor Jason Chia and the CentreStage Dancers will perform at a fund-raising dinner show soon. Too small: View of the Hospice Klang. The event is scheduled to be held at the Klang Executive Club at 7pm on Oct 2. Dr Yoong said the artistes were performing free of charge at the event. “The voluntary contributions of these local artistes are very much appreciated. “It is to be hoped that their heartfelt effort will encourage others to attend the charity music night but also to come forward to aid in their own way,’’ he added. Those wanting to donate to Hospice Klang and attend the dinner show, call 03-3324 2125 or 03-3324 4740.